This is my daughter Thea posing in front of a nicely trimmed green ornamental plant. 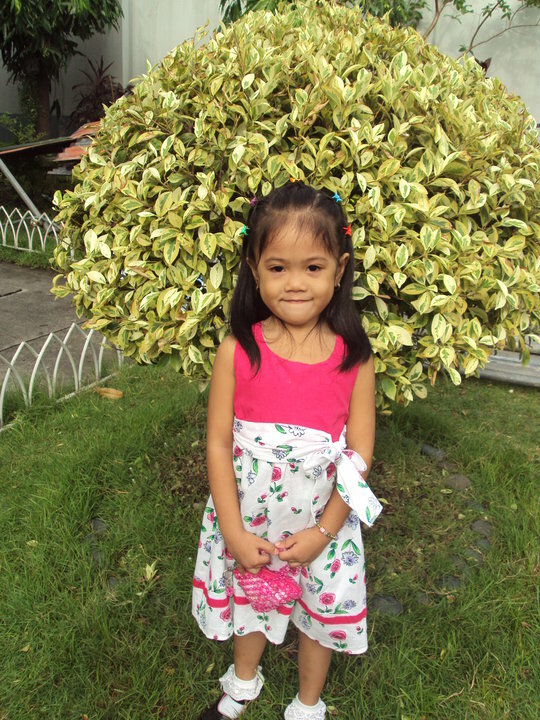 This photo was taken last July 2010 during our Church's anniversary. oh such a cutie girls. Nice green background din. Thank u for dropping me a comment for my entry.